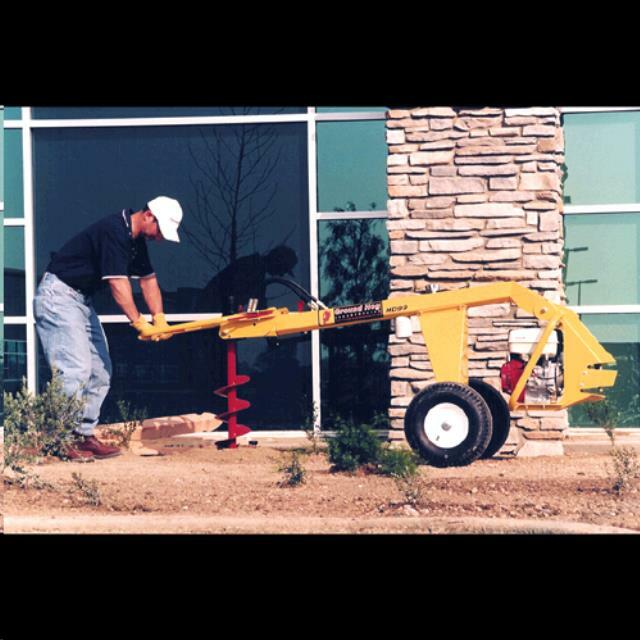 AUGER TOWABLE GROUND HOG HD99 H Rentals Ft. Collins CO, Where to Rent AUGER TOWABLE GROUND HOG HD99 H in Ft. Collins, Wellington, Greeley, LaPorte, Loveland, Windsor CO and all of Northern Colorado. 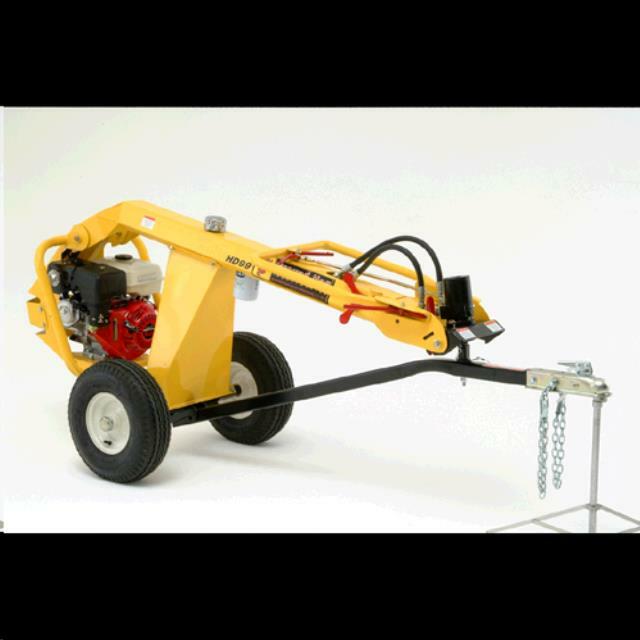 Ground Hog hydraulic driven Post hole auger, Towable to the job with a 2" ball. Model HD99-H, the HD99 is the most powerful earthdrill in the Ground Hog line. Variable speed, Forward and Reverse auger rotation. Three handlebar positions; two for normal drilling and one for close up drilling. 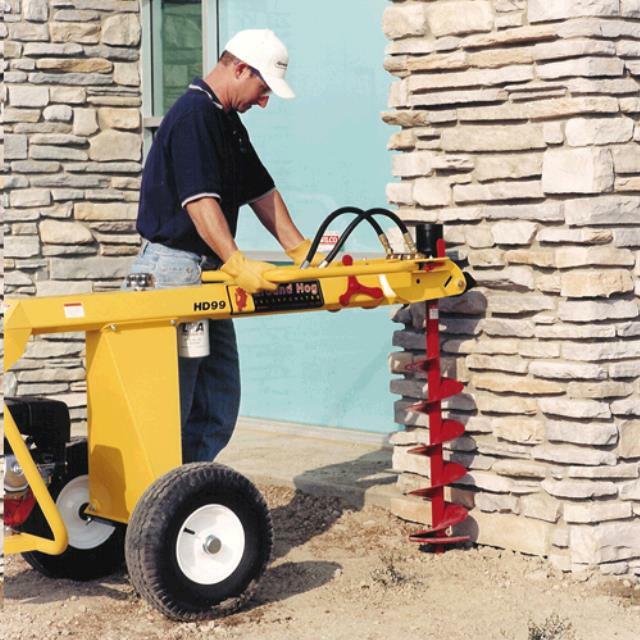 One Sharp hardsurfaced 6", 8", 10" or 12" bit included with Rental. 9 hp Honda engine with a hydraulic reversable drive to the bit. Weight without bit. 295 lbs, 3 people can lift into a pickup bed. 30 mph towing speed, outside width 33" at the wheels. * Please call us for any questions on our auger towable ground hog hd99 h rentals in Fort Collins, Wellington, Greeley, LaPorte, Loveland, Windsor CO and all of Northern Colorado.